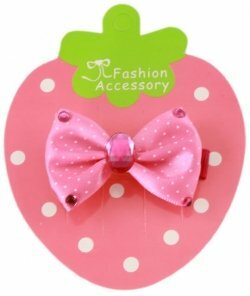 One deep pink / fuchsia with white spots hair bow with flat clip. 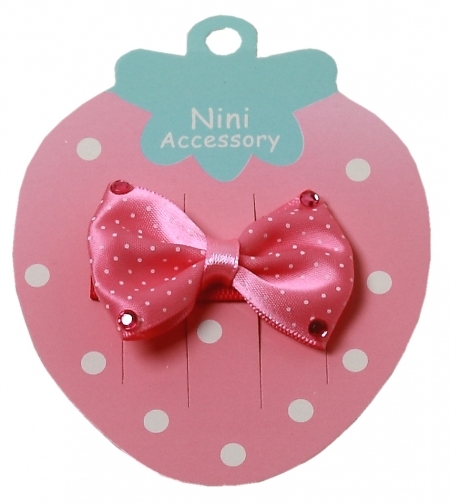 Size 5cm length x 3.5cm width approximate. Embellished with 4 diamonttees.